Woodstock came and went, but the hippy hair, heavy guitar, and trippy lyrics pushed on together like three stripes through a tube of toothpaste for another decade. Thanks to Vietnam and Watergate, more and more kids came to see the entire adult establishment as a pack of corrupted Scooby Doo villains full of lies and malevolence. Rock and roll was the only bastion of truth left, the one thing Scooby Doo villains couldn’t figure out how to control. By the close of the 70s, FM-radio was still spinning the mind-expansiveness of Steely Dan and Traffic, but showmen like Ted Nugent were the ones putting asses in arenas. Meanwhile, a dozen years of album culture had bred a whole subset of home stereo people happy to drop a thousand bucks on a needle and speakers for the chance to boost their album listening experience by a couple of clicks. These music connoisseurs had day jobs that could finance a higher level of rock and roll fantasy. For them, the path from Woodstock led to Spyrogyra, while for the kids without cars or driver’s licenses, the Year of the Album (1967) had devolved into a tar pit of whipped hair, screaming guitar, and pricey concert merch. Thus the ’70s became the ’80s. It would be good to pause here briefly, in the final moments before the arrival of MTV, to consider just how it could have taken so long for the concept of Top 40 music video programming to reach the TV screen. Throughout the 60s and 70s, network TV couldn’t quite figure out what to do with rock and roll, but not for lack of trying. As soon as the Beatles got huge, along came the Monkees. Once the title song from “Hair” hit No. 1, somebody pitched a TV show about the Cowsills, the family singing group that recorded the song (the show idea developed into the Partridge Family). I’m still not sure what the hell the Banana Splits were supposed to be, but they were the brainchild of the same guy who later created the Partridge Family. And of course, we have the Partridge Family to thank for the Brady Kids. Once the original rock and roll fan base matured in the 70s, the networks updated the Banana Splits concept to come up with a dozen or so versions of the Sonny & Cher-style variety hour (Captain & Tennille, Tony Orlando & Dawn, Donny & Marie, to name a few). But that was as far as they could take it. If you wanted to see MTV-style performance video, you had to wait until 1 AM on Saturday night for Don Kirshner’s Rock Concert. The advent of cable TV, with its niche programming possibilities, finally set the table for a dedicated music video channel. Welcome to 1981. If you weren’t there yourself, your first question might be: What came first, MTV or ’80s music? The answer to that is ’80s music. Punk rock had already swept over the land, scorching the earth and oxygenating the soil, readying rock culture for the post-punk renaissance of the late ’70s and early ’80s. New Wave stations like L.A.’s KROQ aggregated and popularized the new sound, but it was MTV that created the superstars of the 80s, defining not only the popular sound of the decade, but more importantly, the popular packaging. 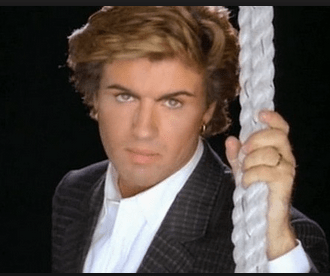 Think of who the actual hit-making rock stars of the 1980s were, not the ones we remember as influential today. From that perspective, the ’80s were not a good decade. MTV indisputably changed/enhanced/ruined rock and roll in the 1980s. You pick the verb. But in any event Music Television brought the notion of rock stardom back to its TV roots. Next question: Who finally put the shiv in 80s MTV rock, paving the way for the decade of so-called Alternative Rock? Grunge gets the credit for that. These are my thoughts as I stare into my laptop watching a 1993 Youtube clip of Kurt Loder interviewing Nirvana for MTV. I vaguely recall this actual Loder/Nirvana interview when it aired 20 years ago. What I remember even more than the interview itself was the relentless hype with which MTV plugged it, saturating Beavis & Butthead and The Real World with teaser clips of a medicated looking Kurt Cobain facing the Klieg lights in stoner sunglasses and a Mona Lisa grin. 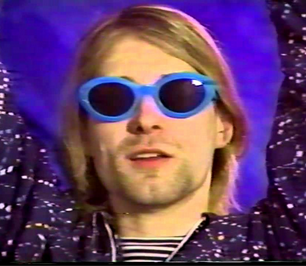 MTV was the network that inherited Ed Sullivan’s legacy as pop culture’s kingmaker, and the Nirvana interview had the effect of a coronation: The dramatically lit soundstage, the velvety couch serving as royal litter for the new kings of rock and roll, everything but an actual crown on Cobain’s head. Cobain’s answer was no, he never saw GG Allin perform; he was too afraid GG would come after him (with a fist full of feces), as GG was known to do with audience members. Then, six months later, Ka-blam. Shotgun Trigger Pull. The king is dead. The question before us now is have there been any new kings of rock and roll since Nirvana? None that I can think of. Can you? Was Kurt Cobain, then, the last new rock star? He may well have been. In the early ’90s, Rolling Stone, MTV, and the other major organs of music culture hailed the rise of grunge rock and the Alternative scene as the movements that were rescuing rock in the ’90s the way the British Invasion did in the ’60s. But instead of exploding like it did in the 60s, rock imploded. Cobain checked out, Alternative became mainstream, and most importantly, consumers could now simply download their favorite music; they didn’t need labels anymore. Whatever the reason, there haven’t been any more big scenes, movements, or superstars in rock and roll since grunge, Seattle, and Nirvana. And that was over 20 years ago. Rock and roll is always being consumed in flames and resurrected from the ashes. That will never change. But maybe certain maximum limits were reached by the 90s. 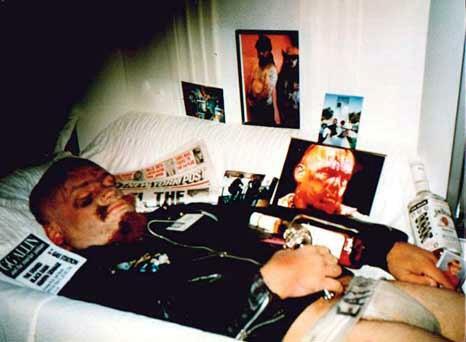 After all, how much further could you take it than GG Allin did? How can you top the rock star who joined the 27 Club by putting a shotgun in his mouth? By doing it onstage (as GG Allin had promised he would)? By taking out the whole band with you? Maybe it can’t be topped. Maybe there’s no reason to anymore. Maybe that’s why everybody lost interest. We should delve into that last sentence a little further. Maybe everybody lost interest. What else was happening musically as the 90s played out? Let’s not forget, the pioneers of grunge were born in the 60s and grew up in the 70s and early 80s. Even though these musicians went on to strip down the conventions of rock, they were still the products of a steady corn-fed diet of rock at its most grandiose. Conversely, kids born in the 70s grew up in the late 80s with rock, but also with rap and hip-hop. They became the post-grunge generation. The 90s also saw the advent of home-recording. Making an album was no longer dependent on having access to a professional studio. In fact, you didn’t even need a band anymore to make big sounding recordings, and certainly not a label. You could do it all in your bedroom. Popular white culture has always imitated popular black culture, which by definition was always outsider culture. Rock and roll was black music embraced by whites. Disco was a black invention that became a universal genre. But the very idea of disco was enough to turn certain rock and roll audiences into enraged mobs back in the day. 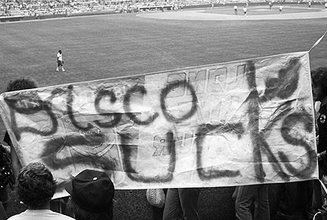 In hindsight, the disco-hating movement gives off a strong whiff of intolerance and bashing. But no one thought of it like that at the time. Rock and roll had become so hidebound that this was simply how its minions reacted to people who partied a different way. 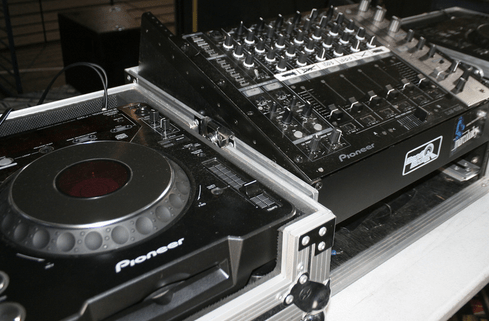 Perhaps this is where the DJ scene comes into play. Think of what the classic arena rock concert was: A chance to watch an artist perform the songs you heard on the radio live in a Roman Coliseum setting. You out in the stands, them up on the stage. A spectator sport. DJs, though, came out of the clubs and discos. At these venues, it’s the energy of the crowd that creates the scene, and it’s the DJ’s job to make it happen. The DJ quarterbacks the event, and when it succeeds, he’s the star. DJs are also a rapper’s right-hand man, the alpha sidekick. You may not be able to rap or to sing, but being the guy on stage with the turntables and headphones is the quickest path to coolness for nerds and outcasts everywhere, just like playing lead guitar once was. If there’s one thing you can set your pop culture clock by, it’s that suburban America will take what inner-city outsiders are doing and adapt it into something their own. Looking at the top rock stars of the TV era, you’d never guess that it had been a black genre half a generation before. Looking at the top DJs selling out arenas today, you’d never guess that it was a rap thing 15 years ago. As any textbook will tell you, rap came about when entertainers who couldn’t purchase, store, and transport half a ton of musical gear from place to place took matters into their own hands, using records themselves as instruments and free-styling over them with improvised vocals. Punk rock displaced prog-rock for the same sort of reason, and rock and roll itself replaced traditional Big Band jazz in much the same way, because it could give the kids more of what they wanted with less. In the 70s, popular music had to be four longhairs and guitars. In the 80s it had to be four wedgeheads (my term for those 80s New Wave haircuts) and keyboards. In the 90s, it had to be four flannel-shirts, or riot grrls, and lo-fi gear. But does a kid today need to see his musical heroes playing through cumbersome instruments slung around their necks to feel legit, or can a modern version of a rapper’s right hand man, a DJ, do the job just as well? You call that a band? I’m from a generation where DJs were guys who spun records at weddings and bar mitzvahs, so it’s hard for me to think of them as legitimate replacements for actual musicians. However, my sources tell me that DJs are much more than that now. Today’s DJ uses modern technology to compose, record, and master his own music and play it back in a live, improvised setting. If that’s true, then DJs aren’t merely record spinners, but the latest examples of music writers/performers using the latest technology available to bring their music to the people. I’m sure there are still some 1940s Hepcats around grumbling about how rock and roll isn’t real music, just like plenty of people my age gripe about how DJs aren’t real musicians. But the naysayers never seems to stop people from enjoying the music they like the way they want. And why would it? Rules that define what’s cool are rules made to be broken, early and often. There had been a continuous stream of bona fide rock stars running from Elvis well into the 1980s, but with diminishing returns over the course of time. And now, all these decades later, the rock stars with the biggest celebrity cachet are still the ones from the 1960s and ’70s. By all indications the rock star has been replaced by the pop star, the rap star, and the reality star in the 2000s. But that doesn’t mean rock is dead. Far from it. Rock and roll is always there, living in the same places where it started: the low-ceilinged, darkened grottos where boundaries are easily transgressed and taboos broken. 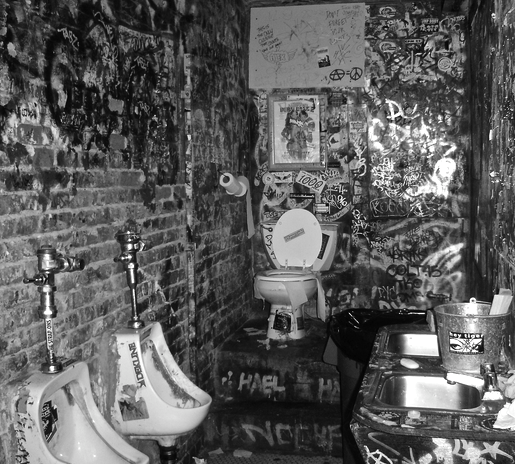 The bathroom at CBGB’s, a birthplace of rock and roll. Rock star is lower case now. It refers to attitude rather than celebrity. Anyone can be a rock star today by acting a certain way or having a certain look. There are rock camps for preteen boys and girls, while the satanic, parent-scaring freaks like Ozzy Osbourne are portrayed as suburban dads on reality shows. The Rock Star is dead. Long live rock and roll.